The increased carbon dioxide changing the water chemistry and ecology of oceans may also be affecting freshwater and the organisms that live in it. It’s called ocean acidification. But some researchers suspect it will impact the Great Lakes. “Based on our preliminary modeling and understanding of carbon cycles, we think similar acidification trends will take place in the Great Lakes to the degree that researchers are expecting in the oceans,” said Galen McKinley, a professor of atmospheric and oceanic sciences at the University of Wisconsin. As the burning of fossil fuels continues to release carbon dioxide that warms the planet, oceans that naturally absorb one-fourth of this greenhouse gas from the atmosphere are now taking in much more. Columbia University researchers concluded last year that oceans are acidifying at the fastest rate in 300 million years. That is lowering the oceans’ pH level — making them more acidic – and ultimately leading to less calcium carbonate minerals, the building blocks of shells and skeletons for species like oysters, snails, and shrimp. At the current rate, surface waters of oceans could be 100 percent more acidic by the end of the century, fundamentally changing marine food webs, according to NOAA. The new water chemistry may make survival more difficult for a suite of organisms, namely those at the bottom of the food chain, said Craig Stow, a research scientist at the NOAA Great Lakes Environmental Research Laboratory in Ann Arbor. For example, shells of pteropods — a staple of pacific salmon and whale diets – dissolve when placed in seawater with pH levels projected by 2100. One study found shells of these pea-like marine snails were already dissolving in waters around Antarctica and making them more vulnerable to infection. Coral reefs can lose the ability to build their skeletons that provide critical habitat for a multitude of species around the world. The Great Lakes do not have coral reefs, but evidence suggests a more acidic environment would hinder development of native mussels and juvenile fish, said McKinley. 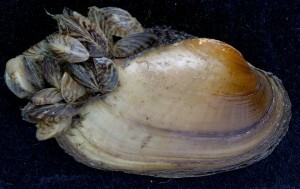 The bright spot: Invasive mussels, like their native relatives, may also feel the effects from this global phenomenon. Scientists are just beginning to get their heads around this potentially alarming situation. Most data from instruments date back to just the early 1990s. A worldwide network to monitor acidification is only now beginning. “The Great Lakes present a more complex environment for study than the open ocean mainly because of impacts from stressors already effecting the ecosystem,” said Simone Alin, an oceanographer with NOAA. Rivers and runoff from cities and agriculture increase nutrient loads that alter pH daily in the nearshore environment. The vast numbers of invasive zebra and quagga mussels absorb large amounts of calcium carbonate to make their shells, said Alin. It is unclear if these impacts from pollution and invasives may offset, worsen or hide acidification. “Right now we don’t have enough consistent and detailed measurements to accurately capture what the pH level even is and if it is permanently changing,” said McKinley. McKinley and other researchers are hoping for a comprehensive monitoring network — like ones now in the oceans – for the Great Lakes. The network would discern the annual cycles of pH and determine if and by how much those levels are changing. 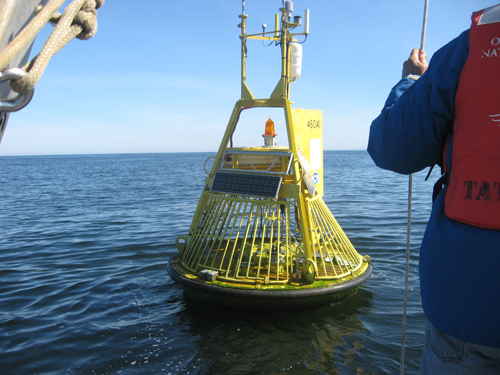 NOAA has proposed a network of carbon sensors on pre-existing mooring stations in the open waters of each Great Lake. They also want to study how Great Lake organisms respond to greater acidity and hope to model potential impacts to the food web. As of yet, no sensors have been deployed due to lack of funding. Let’s face it: human overpopulation is destroying life on this planet. We’re just not smart enough to realize it yet.